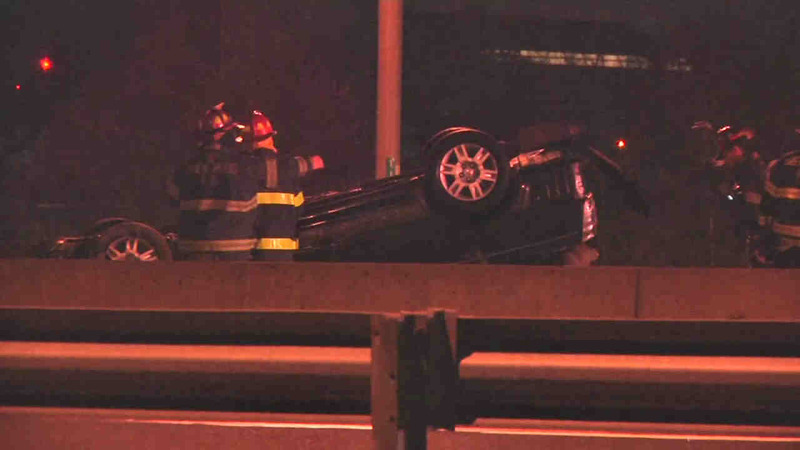 Five people were hurt in Brentoowd after a car wreck on the Long Island Expressway. BRENTWOOD, Long Island (WABC) -- Five people were injured after a car wreck on the Long Island Expressway Wednesday morning. The incident happened around 12:20 a.m., when police say a vehicle hit a guard rail on the right shoulder of the roadway and overturned on the westbound lanes in Brentwood. Five people were hurt, but their injuries appear minor. They were taken to Southside Hospital in Bay Shore. The LIE westbound was closed at exit 53 for nearly two hours.